In the past couple years, the ESP8266 platform has flourished dramatically and emerged as one of the most popular hardware tools among electronics hobbyists and IoT enthusiasts. Packed with a 32-bit RISC CPU running at 80 MHz, a fully integrated WiFi radio with TCP/IP protocol stack, serial peripherals (I2C, SPI, and UART), an ADC channel, and general purpose I/O pins, the ESP8266 is the most integrated and affordable WiFi solution available in the current IoT market space. 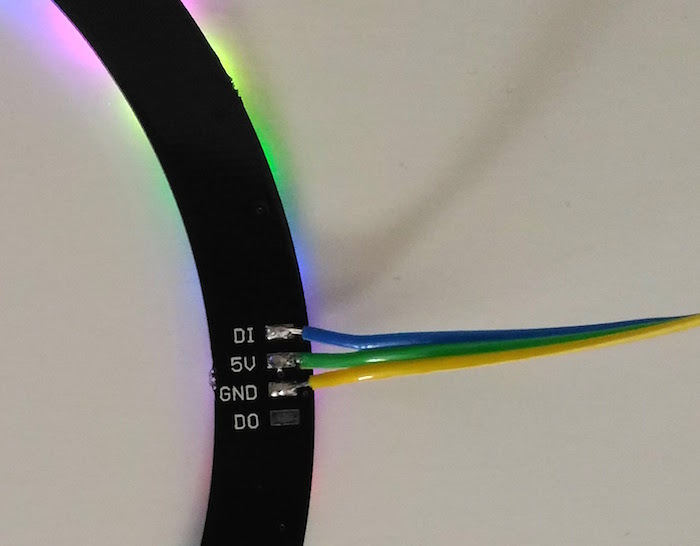 An ESP8266 hardware, like NodeMCU and ESP-01, can directly interface with sensors using its peripherals and upload the sensor measurements to a local or a remote web server via internet. Right now, there are already quite a bit of cloud IoT platforms (ThingSpeak, thinger.io, TESPA.io, Xively, … the list is getting bigger everyday) that provides APIs and tools to allow the ESP8266 users to directly upload their sensor readings online for real-time visualization and global access. If you are a regular user of Google Drive, like me, you would find a Google sheet more approachable than all those IoT cloud platforms. In this tutorial, I will describe a method of connecting the ESP8266 device directly to a Google sheet for storing the sensor data without using any third party plugin. 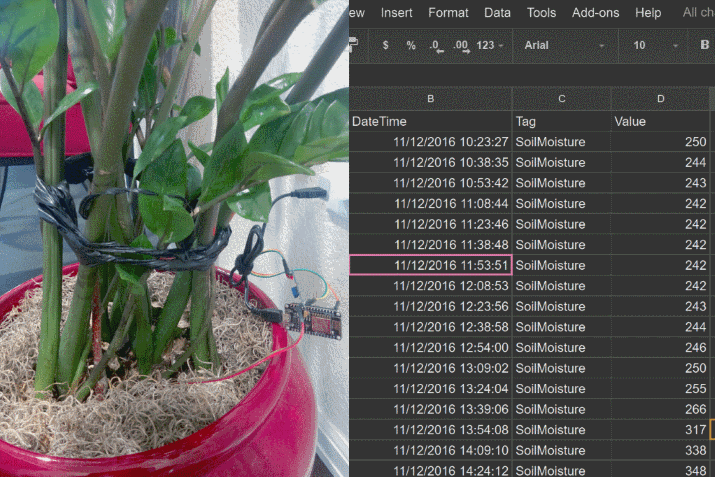 For illustration, I am using a NodeMCU board that reads the analog output from a soil moisture sensor inserted into one my flower pots and directly connects to a spreadsheet on my Google Drive for storing the data. 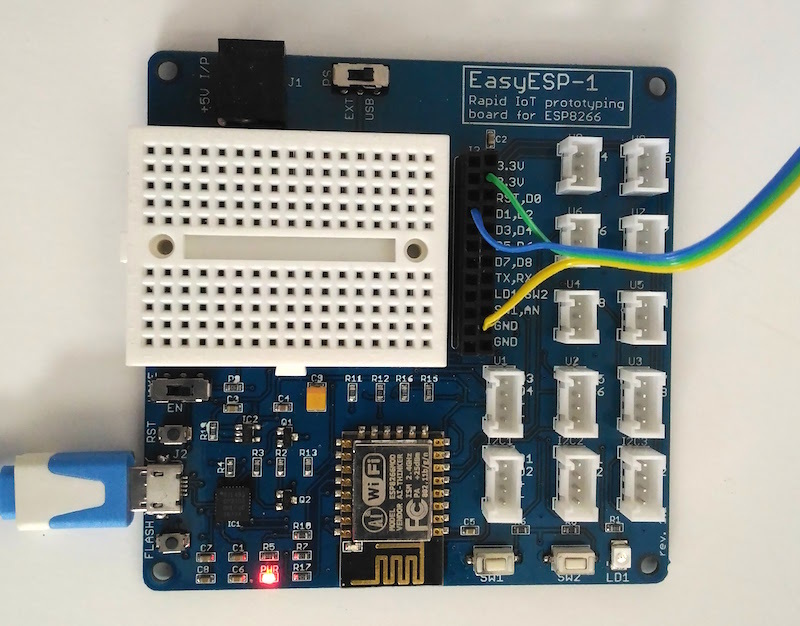 Check out How to send email and text messages using ESP8266. Check out our weather web server project for local web hosting of the sensor readings using ESP8266. DIY Geiger counter projects are very popular among hobbyists. They all use a Geiger-Muller (GM) tube, which is filled with an inert gas such as helium, neon, or argon at low pressure, to which a high voltage is applied. The tube becomes electrically conductive when it is impacted by a high-energy particle or photon. Earlier, we have seen a very simple Geiger counter circuit using 555 timer, where the timer IC is configured as an astable multivibrator to drive a step-up transformer through a MOSFET in order to generate the high voltage required for the GM tube. This ESP8266-powered DIY Geiger counter by Hackaday user biemster, however, avoids the use of any step up transformer for the high-voltage generation; it rather achieves the same using a simple MOSFET switching circuit comprising of an inductor, a diode and a capacitor. 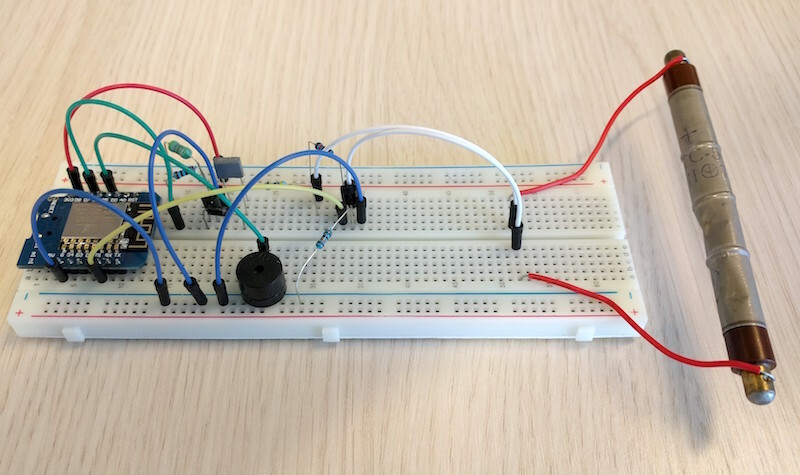 The switching circuit is driven by a PWM waveform from an ESP8266 I/O pin. 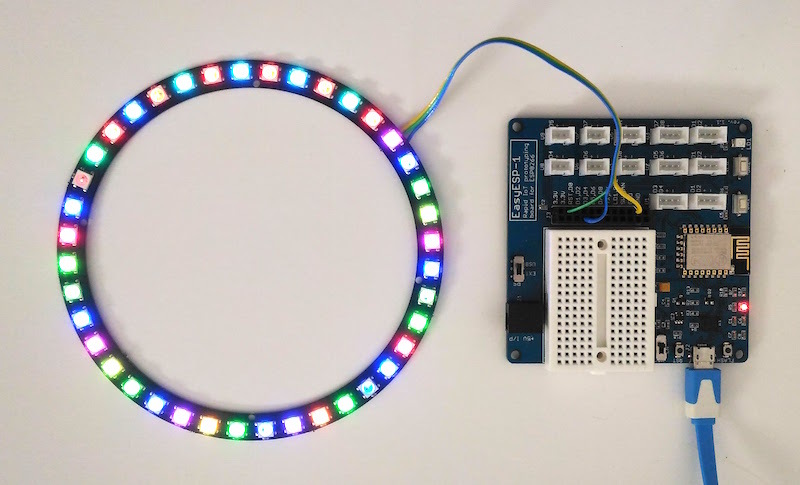 The use of ESP8266 also provides network connectivity to access the radiation and dose information via web interface, MQTT, or ICMP packets. The high voltage output from the MOSFET switching circuit depends on the duty cycle of the PWM signal, which can be adjusted in the software. The complete code for this project can be downloaded from Github. LTspice simulation results showed that with a PWM frequency of 10 kHz, the output voltage has minimum ripple on it. The PWM generation, ESP8266 pin assignments, and calibration of the duty cycle to derive an optimal high-voltage output for the tube are all provided by the author in one MicroPython library. 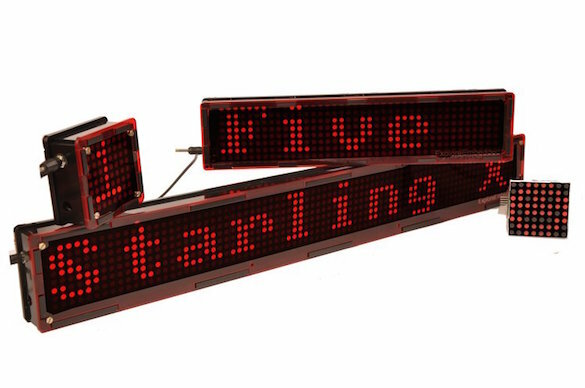 This project is a modification of my previous Bluetooth-enabled LED matrix display project, which used 8×64 monochromatic LED matrix (total 512 LEDs) for displaying scrolling text message. The original project used Bluetooth for display data transfer from a smartphone, but this one now uses Wifi. The display message is sent through web browser to a ESP8266 module that is configured as a web-server. No Arduino or any other microcontroller is used. 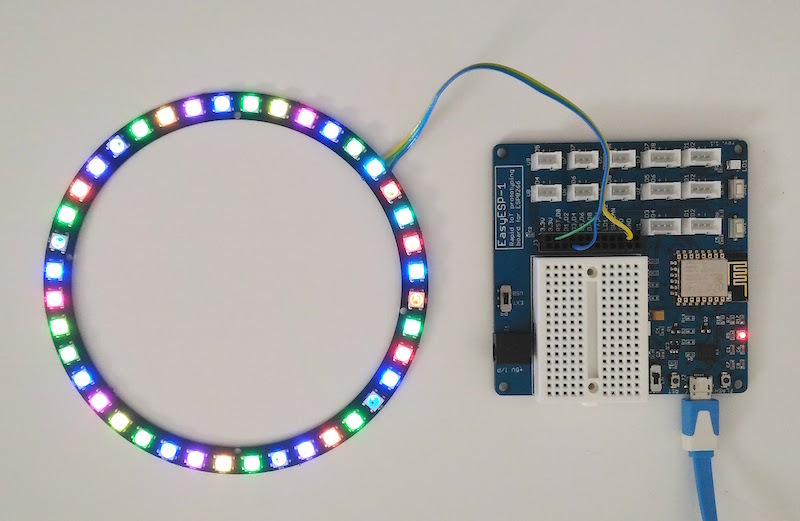 ESP8266 alone works as a WiFi server and drives the MAX7219-based LED matrices.